The Manhole Odor Eliminator was featured at the Northern California PUG monthly meeting. 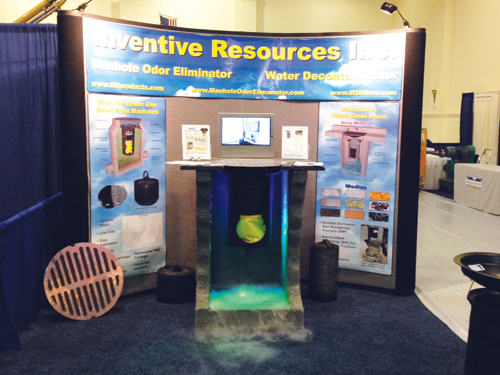 The Manhole Odor Eliminator was featured in the Water Environment Federation product spotlight. The Manhole Odor Eliminator was presented at the 2015 CWEA Annual Conference in San Diego on April 29th Through May 1st. 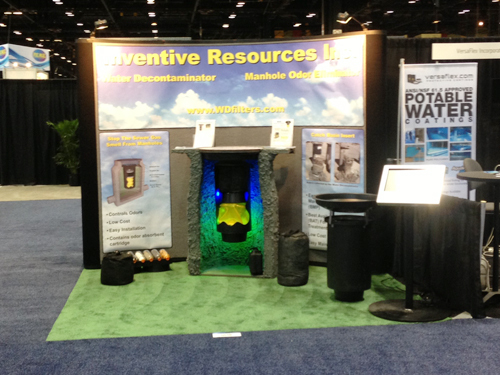 The Manhole Odor Eliminator was published and presented at WEFTEC. 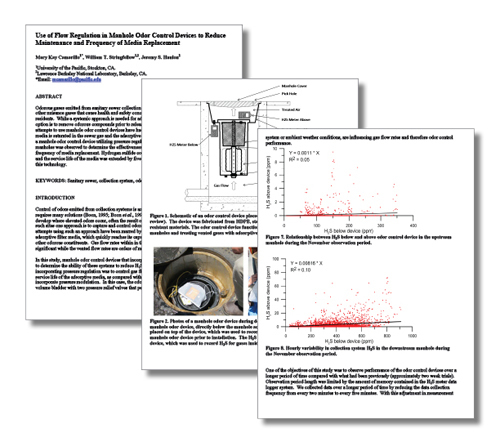 Use of Flow Regulation in Manhole Odor Control Devices to Reduce Maintenance and Frequency of Media Replacement. 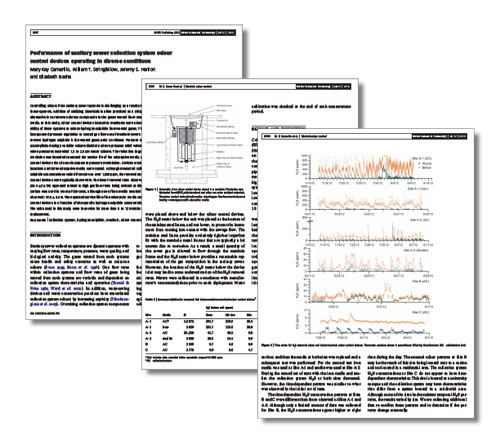 The Manhole Odor Eliminator was published in the Water Science and Technology Journal. 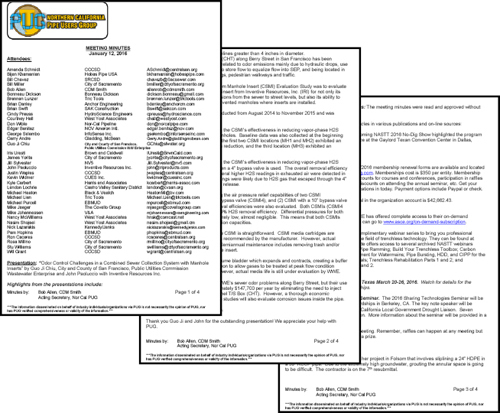 Performance of sanitary sewer collection system odour control devices operating in diverse conditions. Testing and evaluation was conducted at the University of the Pacific School of Engineering and Computer Science in Stockton California. 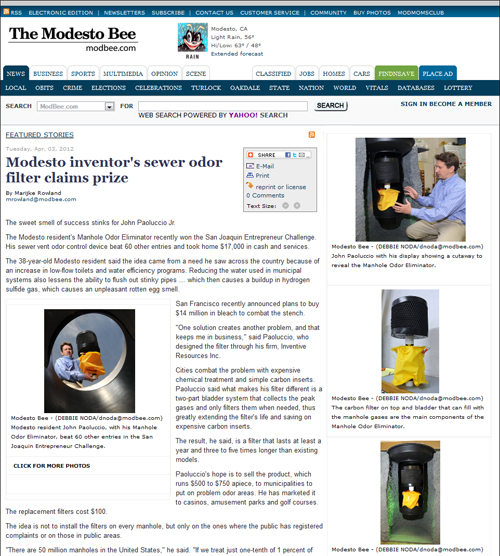 The MOE™ won the 2012 San Joaquin Entrepreneur Challenge. Test units were installed in Stockton, Los Angeles and Las Vegas. The MOE™ has now been installed all over the world. 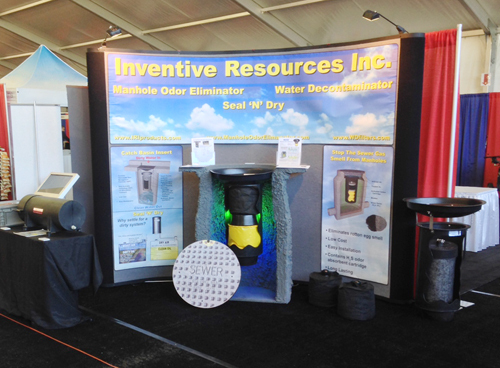 The Manhole Odor Eliminator was presented at the Central Valley Facilities Expo in Modesto on March 12th and 13th. 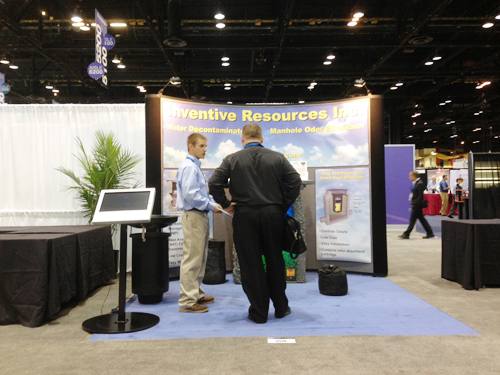 The Manhole Odor Eliminator was presented at the 2013 WEFTEC conference in Chicago on Oct. 7th through 9th. Manhole Odor Eliminators have been installed in locations around the world.